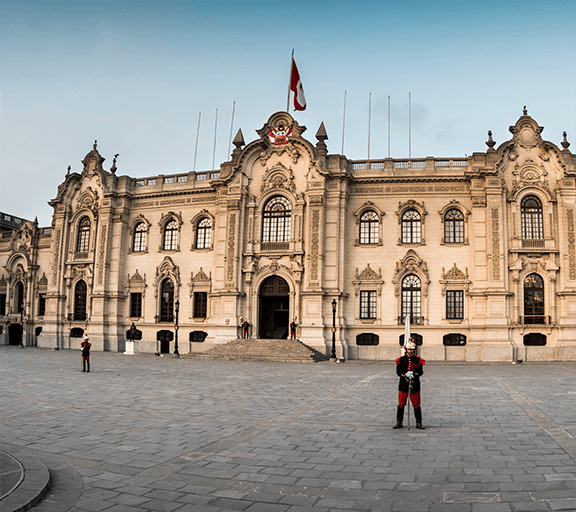 Peru is a democratic country composed of three branches of government: the Executive, Legislative and Judicial. The Executive branch is led by the President of the Republic during a five-year term. President Martín Vizcarra, assumed office on March 23, 2018 and will serve until the end of his term on July 28th 2021. The Legislative branch is made up of a unicameral house named the Congress of the Republic of Peru. Its 130 members are elected for a five-year term on a proportional representation basis. And the Judicial branch is a hierarchical system of courts, with the Supreme Court sitting at the top.